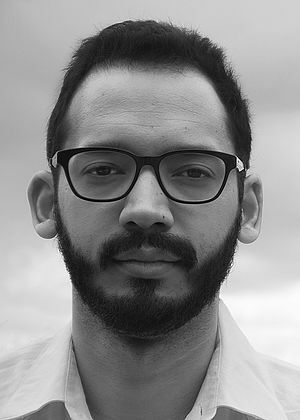 Rodrigo Blanco Calderón (Caracas, 1981) is a writer, editor and university lecturer. His short stories have earned him recognition both in Venezuela and abroad. In 2007 he was selected for the group Bogotá39, which gathered the best Latin American writers under the age of thirty-nine. In 2013 he was guest author in the international writing programme of the University of Iowa. In 2014 his short story ‘Emunctories’ was included in issue number forty-six of McSweeney’s magazine, titled Thirteen Crime Stories from Latin America. Presently he is completing a doctorate in linguistic and literary studies at the Université Paris XIII. This entry was posted in Authors, Rodrigo Blanco Calderón and tagged Rodrigo Blanco Calderón by Katie Brown. Bookmark the permalink.